When employees store keys in their pocket or vehicle, the likelihood of those keys landing in the wrong hands increases exponentially. Our simple yet sturdy key binder prevents key loss through the use of specially designed metal key clips. 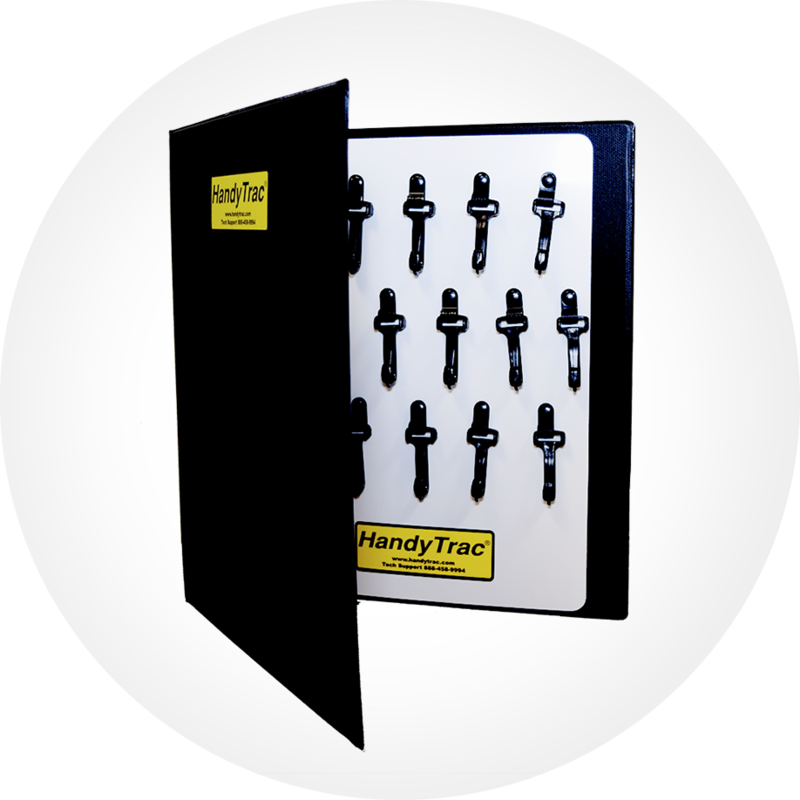 For added security and peace of mind, HandyTrac users can instead opt for our multi-key distribution pouch, offering a zip enclosure and space for up to 25 keys. Using our key management binder or multi-key distribution pouch, property staff can pull and securely carry numerous keys at the same time. So, instead of returning to the HandyTrac system for each individual key, property staff can conveniently accomplish a full list of work orders in the same trip. Additionally, our key binder and multi-key distribution pouch are light and versatile, making them perfect for staff always on the go. When compared to the cost of loss and/or replacing keys on a regular basis, a key binder quickly pays for itself. We offer three budget-friendly options so you can purchase only what you need. For more information about our key binder and multi-key distribution pouch, visit our online shop or contact us today.